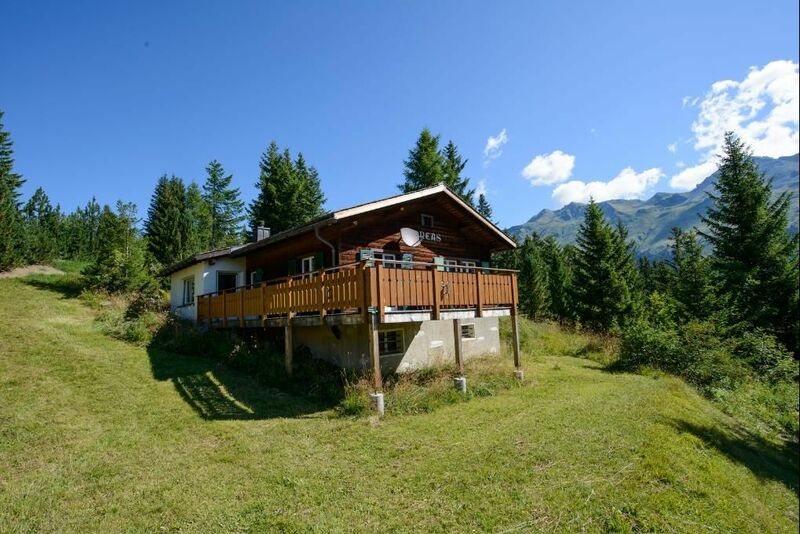 The holiday chalet Oreas is located in Valbella on the Sartonserstrasse in a quiet and sunny residential area. From the location of the house you can enjoy a magnificent view of the lake, forests and mountain peaks. The center of Valbella with its shops, restaurants, post office and sports bus stop can be reached within a 15-20 minute walk. The two outdoor parking spaces belonging to the chalet are easily accessible via public and private roads. In winter we recommend attaching snow chains to the car wheels. The chalet is accessed through an access path.